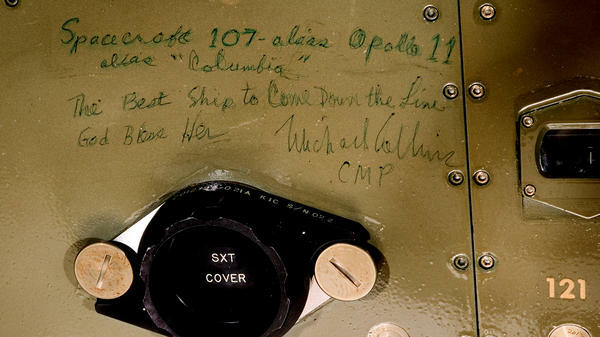 The Smithsonian is sharing images of astronaut graffiti aboard the Apollo 11 command module, including this tribute to the spacecraft. The crew of the first mission to land on the moon drew this calendar on the wall. It ends on the day they returned to Earth. The astronauts were quarantined for several weeks following the mission at a NASA facility in Texas. 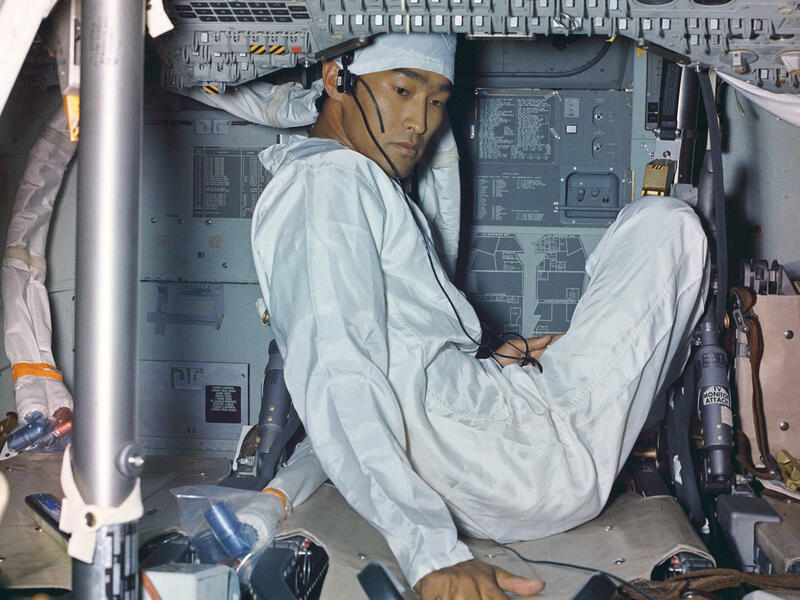 Quarantined with them was a photographer and technician, John Hirasaki, who is seen here, as is the condition of the cabin shortly after it arrived back in the country. Note the calendar on the left. 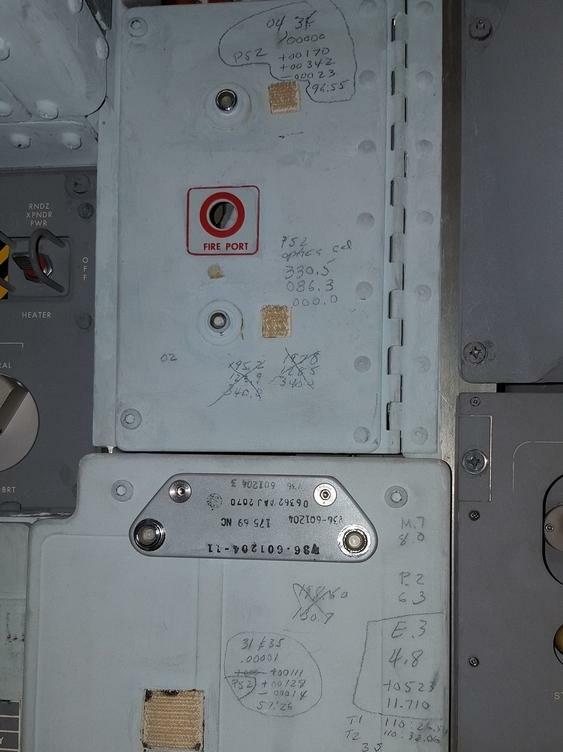 The crew recorded numbers from mission control voice communications on this panel just to the left of where the command module pilot, Michael Collins, would have stood. Columbia is where the three astronauts lived during most of the eight-day mission in July 1969. It's the only part of the spacecraft that returned to Earth, and it's been at the Smithsonian since 1970 and at the National Air and Space Museum in Washington, D.C., since it opened in 1976. Museum guests are able to peer inside the windows of the cramped, 10-by-12-foot, cone-shaped capsule and look at the flight controls, navigation equipment and the three uncomfortable-looking seats. 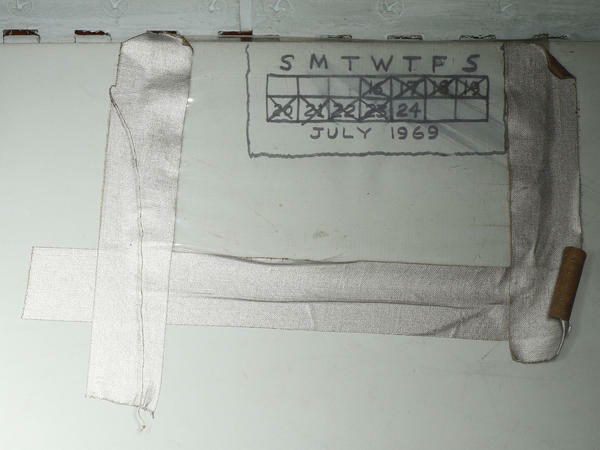 What they haven't been able to see are markings hidden from view for the past 47 years. Workers at the Air and Space Museum have been scanning the spacecraft for a 3-D digitization project. Once inside, they found writing on the interior walls of the command module. "They can be seen by the human eye if you were to go into the Command Module, which of course no one can normally do. We were able to take these photos because we allowed one of our conservators to go in, very strategically and carefully," Alison Mitchell of the Air and Space Museum told NPR in an email. Curators are now studying the text and cross-referencing flight transcripts to get a more complete account and understanding of the lunar mission. They're still not sure what the markings were all for or which astronauts wrote them. The Smithsonian 3-D scanning project will give researchers and the public a high-resolution and interactive model of the Apollo 11 spacecraft when it's completed this June.